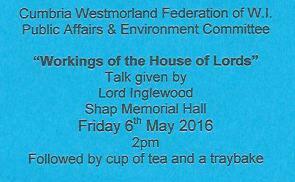 Jill, Gill and Kay went to Shap Memorial Hall to hear Lord Inglewood talk about the House of Lords. 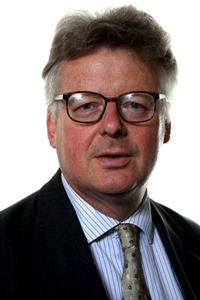 He was extremely interesting and covered the history of the House of Lords and the work that goes on there. He also told us about how the House of Lords has changed since the number of hereditary peers was reduced and the difficulties for Peers who do not live in London.